We generally think of bras as a thoroughly modern trend. Whether they're being burned in the name of feminism or symbolizing female sexuality and liberation, they're not exactly something we picture when we imagine an old-timey wardrobe (not that we do that a lot or anything). 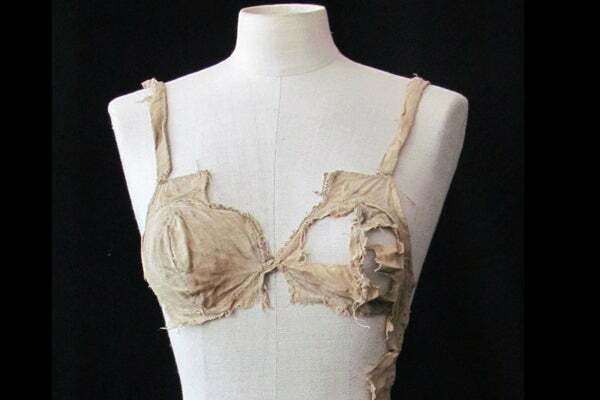 But we, like many scholars, were surprised to find that the world's oldest bra predates not only Victoria's Secret but Queen Victoria herself. Discovered in an Austrian castle, this linen number is estimated to be about 600 years old. This sort of looks like it would fit in on a shabby-chic board on Pinterest, no?